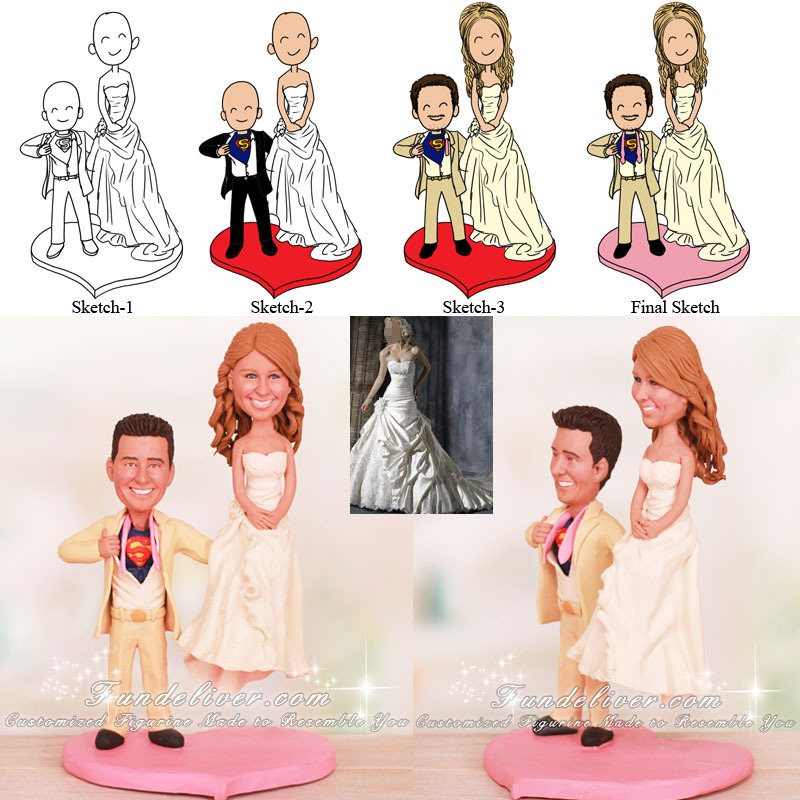 This is a completely customized bride sitting in palm of groom’s hand wedding cake topper ordered by one of our customers. 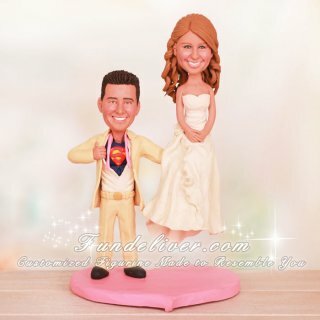 They would like the bride to be in her wedding dress and the groom to be in a tux with a superman shirt/costume on underneath, with the groom’s right hand pulling open his tux to show the superman costume underneath. In his left hand they would like him to be holding up the bride, like a waiter/waitress holding a tray of food. The bride is sitting in the palm of the groom’s left hand. His left arm is in an L shape holding the bride up by the palm of his hand.